As it's coming close to the end of the year, it seems to be traditional to take a look at any statistics that I can come up with, which can be vaguely related to port. There is, of course, the classic statistic of time taken by the cellar to gain 1 collective year of additional bottle age, but following the debates of last year I now accept that this is exactly 12 months. Given my significant withdrawls from the cellar and modest acquisitions this year, the most interesting statistics (to me, at least) are about what I have left in the cellar. 82% of my bottles are port, 7% is bordeaux, 2% Australia, 2% English and the rest is somewhat of a mix. The 21st anniversary of any particular declaration is traditionally considered the time it is ready for drinking. On this basis, 42% of my port is ready and the rest is still to be left to slumber. Of this 42%, 13 comes from the 1963 vintage (no surprise, really). 1994 accounts for 9% of my port and 1997 accounts for 8%. A surprising (at least it is to me) 20% of my port comes from the 21st century. The first Vesuvio vintage was 1989, which isn’t yet ready, so all the V lies in the 58% (of the port) slumber zone. We also know that Fonseca is 10% of the port (let me guess that is mostly vintages up to 1985, so not reducing the 58%), and 5% each for Graham, Smith Woodhouse and Martinez. I know that you have â‰¥2 bottles of Mz97, and some SW90s and 2k’s also plausible. So let’s say that half of that 15% isn’t yet mature, leaving about 50% which could be Vesuvio. Leave off some Mg91 (lots? ), leaves a Vesuvio percentage between 10 and 40. So, having thought too hard I’ll just guess at 25%. Vesvuio is also the most popular port in my cellar (pipping Niepoort). Given I have nearly twice as much vesuvio as fonseca I will go for 20%! With a mixture of shame and pride, I can tell you that you are both too low - but that Julian's logic was working up until the point that he threw in the towel and guessed. @ 1-6% 15 other houses. By the 21yr measure, only 8% is drinkable and all of it is SW, Grahams, and Warres. I admit, all these statistics are reported by the spreadsheet I developed to track the contents of my cellar. I find it mildly amusing to be able to find out what proportion of my cellar is port. How much of it is ready to drink. 88 was a decent year... I pick up another 4%, but I've been drinking those this past year already. Currently 2,485 bottles of VP, with average age of 25.684 years, total bottle years 63,825, increasing by one year every three hours and thirty two minutes..
At present, I have stocks of 285 different vintage ports. Are you willing to report deciles? uncle tom wrote: increasing by one year every three hours and thirty two minutes..
! by one bottle-year every ! ; and anyway merely being one year divided by the number of bottles. out of which 90% of my collection is Fonseca. Given JDAW's math and AHB's reputation, I will venture a guess at 33%. That doesn't work terribly well - for example, the oldest 10% of bottles includes slightly less than half of my '63's - which bottles does one include? I created a spreadsheet from memory... it should be pretty close, but is certainly off by a handful of bottles. When one's "cellar" is in fact a refrigerator that in the best circumstances will hold roughly 200 bottles, something as powerful as CellarTracker is overkill. 45% of my cellar is too young to drink. 65% of my cellar is VP or SQVP. An overwhelming 88% of my cellar is 750 ml bottles. I have but two 500ml bottles and five Magnums, but nearly 8% of my cellar is half bottles. 1994 is apparently my favorite vintage at 20%, this despite the fact that I have never opened a bottle of 1994. 1964 follows closely at 19%, then 2003 (13%) and 1985 (12%) and 1977 (10%). Edit: updated spreadsheet with actual contents of the fridge, so it's accurate now I didn't count non-cellared bottles such as the ruby reserves and 20-yr old tawnies that I have stored in a handier location. Edit2: 2008 - 1977 != 21. Even more of my cellar is of drinking age than I previously thought! Though personally I do think that 30 years is a more appropriate limit than 21 years, so for me it's still 61% of my cellar that is too young to drink. Just the deciles of the years: so one would report ‟1963”. Yes, but this still means you have more than twice as many bottles of non-VP as I have. 4.7% of your cellar is 117 bottles. 35% of my cellar is... 51 bottles. Yes, I have a fairly varied mix of non-vintage ports, including an interesting collection of Crusteds going back to 1941, and some interesting tawnies, two of which pre-date the 'indication of age' era. I also have a modest stash of colheitas and an adequate stock of LBV's. I have only four bottles of 'standard' port, and three of those are whites..
Glenn E. wrote: Given JDAW's math and AHB's reputation, I will venture a guess at 33%. Almost spot on - it's 34%! That's a lot of Vesuvio - what do I do with all those pretty little chestnut boxes? uncle tom wrote: Currently 2,485 bottles of VP, with average age of 25.684 years, total bottle years 63,825, increasing by one year every three hours and thirty two minutes..
88 was a decent year... i pick up another 4%, but I've been drinking those this past year already heheh. I've played around with my spreadsheet a little more and come up with some more statistics. 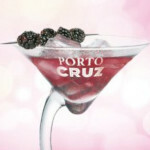 96% of my port is vintage or SQVP, 2% is crusted and 2% is unfiltered LBV. I have one bottle each of colheita, ruby and tawny. 96% of my port containers are 750ml bottles. All of the remaining 4% are half bottles. I own no magnums (and can't really see this changing considering the way in which I store and drink port). And on the "thirty-years for drinking rule", only 35% of my port would be ready for drinking. At my normal rate of consumption, that will last me just under 3 years. Yikes! I need to go shopping after Christmas! The bulk of my consumption is Tawnies with an indication of age, which I purchase and drink right away. I don't have any of those included in my cellar spreadsheet because they wouldn't stay there long enough to matter. So... just counting VP and Colheita... my cellar will last about 8 years. Eek! I'm almost out of Port!!! Does this seem a reasonable distribution of scores? AHB wrote: Does this seem a reasonable distribution of scores? Yes, apart from a small blip at 86 points your scores appear to more or less follow a classic standard disctibution curve. Comparing my statistics to AHB’s (assuming that 90+ points ≈ C, 83+ ≈ P, <=82 ≈ N), it appears I have a somewhat less critical palate than he does, since I certainly don’t think I drink better Port than he!